The Hamaca Coral By Hilton timeshare resort is situated a convenient distance from the islands international airport and capital city of Santo Domingo, Hamaca Coral By Hilton rests serenely on Boca Chica Bay. At this resort, vacationers can enjoy the sheltered privacy of a reef-protected beach, a variety of water sports, or a round of tennis. For nighttime fun, theres Hamaca Corals disco. 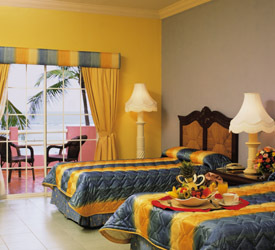 The resort also includes restaurants serving island specialties, as well as gourmet fare. Available on-site are spa services, miniature golf, an ATM, and Internet access. 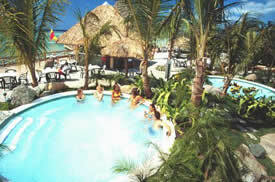 Hamaca Coral By Hilton offers an optional all-inclusive program.